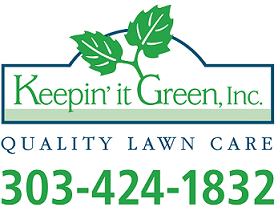 What A Good Lawn Care Service Should Provide - Keepin' It Green Inc.
A lot of people do choose homes away from the big city for many reasons. For one, a lot of people want a place that is far away from all of the stress, noise and business of a city life. Another good reason would be that living in the city would often mean that they will have to settle for an apartment or a condominium for a home. Having a home away from the city does indeed offer many benefits than a small city apartment or condominium can. And if it is a home away from the city, one of the features that a lot of homeowners take pride in is the ability to have a nice garden and a big lawn. Now having a big lawn to care for can be a lot of work, so quite often, people rely on lawn care services to keep their lawns looking neat and pretty. But what are the things that a lawn care service should complete every time they tend to your lawn? To most people, they might think that this operation only entails mowing to keep the grass trimmed, but this is only a basic task that can easily be done by anyone. What sets a good service apart from the norm is that, the maintenance service will perform a few more tasks to have the lawn looking its best. Among the services they should provide is weed control and fertilization. Even if you have it regularly mowed, there is always the chance that weeds might be starting to take hold – ruining the nice grass. A service that does this before applying some fertilizer will help keep the grass looking its best. The service should also include pest control. You can almost be certain that wherever there is greenery, there will also be insects. A good service should be able to provide some good pest control around your greenery so these insects don’t enter your home. They should also provide the service of keeping the shrubs and trees under control. Having a nice lawn but with shrubbery going out of control wouldn’t be nice to look at. And a service that can also do this will be a good choice. Remember, when getting a service to maintain your greenery – they should also provide other services that will help keep the beauty of your lawn and not just keep it trimmed. A good lawn care service must be able to provide other things that will help preserve the clean and green that your home provides.